Fried food is notoriously unhealthy. 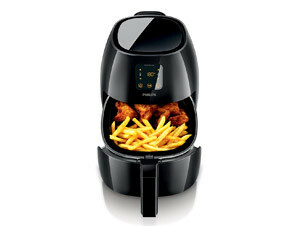 The Avance Collection Airfryer XL offers consumers the taste and texture of fried food with up to 80% less fat. 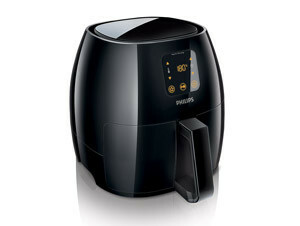 The unique fast circulating hot air and grill combination fries food, snacks and meat quickly and easily. Frying with air creates less smell and vapour than traditional frying, is easier to clean, safe and economical for daily use. Ergonomic design also enables one-handed operation. Designed for the domestic kitchen, the Airfryer offers 50% more capacity than its mid-range counterpart: 1.2kg of food can be cooked up to 30% faster.